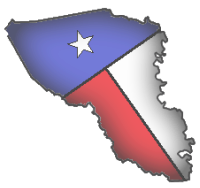 Austin County Emergency Communications District maps and maintains addresses for Austin County. Each week we go out in the field with our mobile mapping system and take "house points" to add to our computer mapping system. These points are assigned a numeric address based on location. Below is an image of the dispatch computer screen showing house points, roads, and topographic features of the Industry area. These addresses are used by all emergency responders when a 911 call is placed. They are also the mailing addresses for most residents of unincorporated areas. We work closely with Austin County Sheriff Department, U. S. Postal Service, Austin County Commissioners Court, Austin County Appraisal District, and other local services. ACECD also coordinates the computer software systems involved in Emergency Services. Below is a picture of one desk of the Austin County Dispatch center. 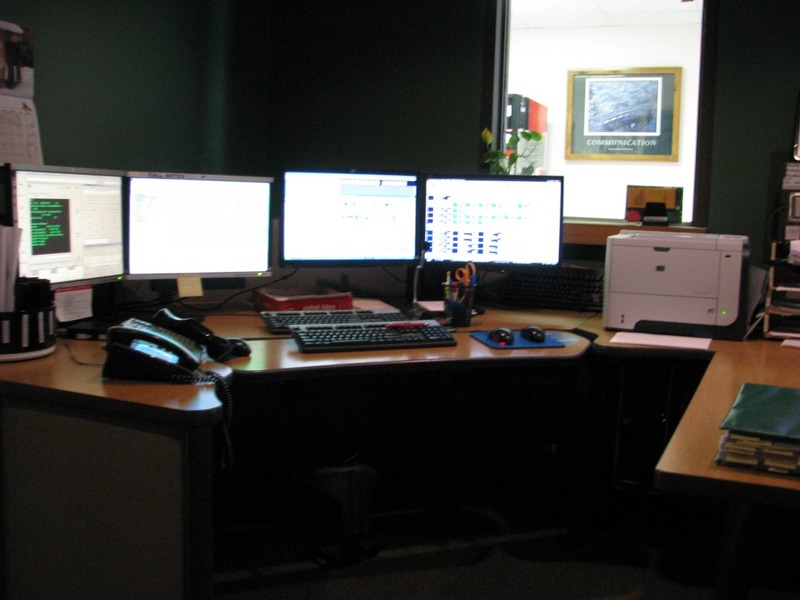 In the event of an emergency it is critical that dispatchers and responders have the most up to date information to locate and provide the best service to callers. The physical location is just the tip of the iceberg of needed information. Responders need to know if there is a locked gate at the entrance, who to call for access, gate code/combination, if there is more than one residence on the property, etc. We have a form for property owners to complete and submit important information that goes with a 911 address. See forms link on home page. This information is made available to dispatch and emergency responders when a call to 911 is made.